Transform woven plastic sacks into fun, funky, and functional zipper pouches! You will learn how to customize the length of a zipper to fit the size of your pouch, so you can make your pouch in any size you like. Once you get the hang of assembling these, you’ll be zipping them out in no time. Impact: Plastic sacks, which take centuries to decompose, are diverted from the landfill to make useful pouches. Participant Materials and Requirements: Please bring a pen, ruler, scissors, a few binder clips or Clover clips, and a seam gauge if you have it, as well as thread and a zipper of any color in the approximate size you would like your pouch. Zippers can be easily shortened but not lengthened. Invisible zippers do not work well. Shop Ragfinery early for best selection. Feel free to bring your own sewing machine or use one at the shop. 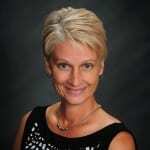 About the Instructor: Jennifer Willner is an avid sewist. She has been making her own clothes since age 12. 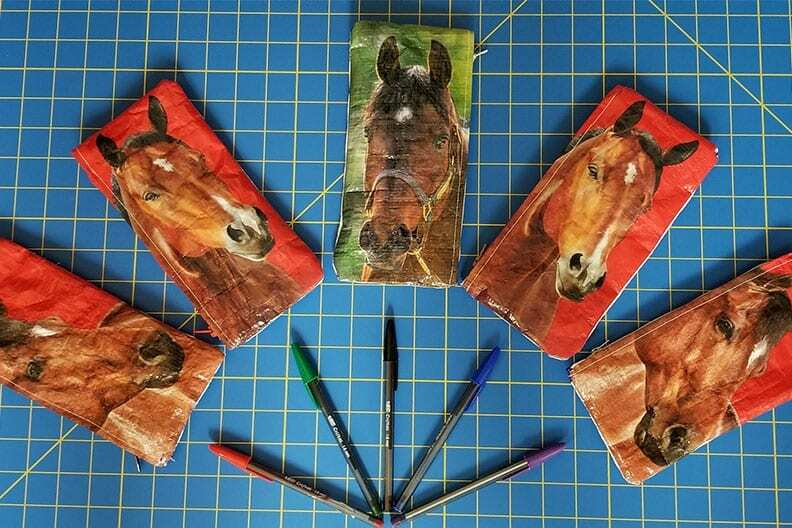 Jennifer has owned horses most of her life and just recently thought to save feed sacks from the landfill by turning them into useful zip pouches, which has led to the birth of Sewcially Conscious, her new upcycle/recycle sewing business.